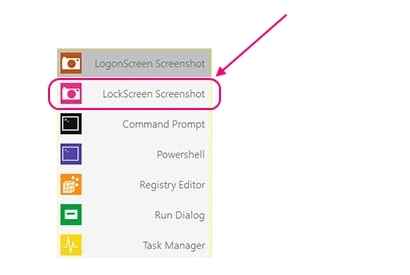 Here is a short tutorial on how to take screenshot of Windows 8 Lock screen. The easiest way of taking screenshots is using the Printscreen button on Windows platform. However, if you have ever tried to take a screenshot of the Windows 8 Lock screen, you might have noticed that the option doesn’t works on the Lock screen. Even the most comprehensive screenshot tools like Snappy fails when we try to take screenshot of Lock screen in Windows 8. So here we are, with a brilliant tool called Ease of Access Replacer, which lets you conveniently take screenshots of Windows 8 Lock screen, whenever needed. Ease of Access Replacer is a completely free software that can easily be downloaded using the link given at the end of this article. Once downloaded, you can extract the zipped exe and open the application file (EOAR Setup.exe) using administrator rights, to install the software. After a successful installation, Ease of Access Replacer will replace the Ease of Access menu of your Windows 8 Lock Screen with its own menu having some really useful options. One of these options can be used for taking screenshots of the Lock screen. Let’s know more about it and see how you can use this free screenshot taking tool to take screenshot of Windows 8 Lock screen. As I just mentioned, Ease of Access Replacer will replace your Ease of Access menu as soon as you install it. 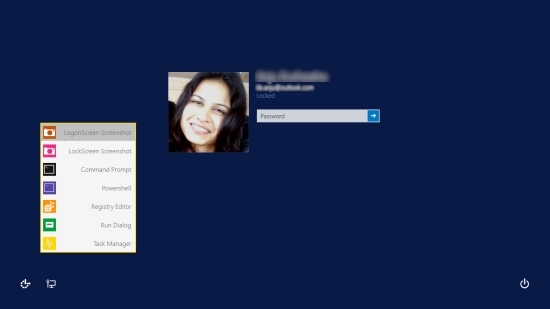 So the next time you lock your Windows system and try to unlock it, you would see a new menu within the Ease of Access icon on your Logon screen. Now to take a screenshot of the Lock screen, simply right-click on this icon and choose the respective option. Remember to leave the system untouched for a minute, so that the Lock screen appears and Ease of Menu Replacer will be able to capture it. After a successful capture, the screenshot will be saved in a folder called “Screenshots” on your C drive. From there you can easily access all your Lock screen screenshots whenever needed. 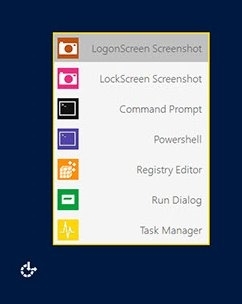 Rest of the options lets you take a screenshot of Logon screen, and access other useful applications like Command Prompt, Registry Editor, Powershell, Task Manager, and Run Dialog on the Windows 8 Lock Screen. Note: Access to these different tools that Ease of Access Replacer offer might be useful if you are on the Lock Screen and your system has hanged, but it could equally be dangerous if you have multiple user accounts since any other person can easily play with your system’s registry, reset passwords, or delete user accounts. So it is advisable not to install Ease of Access Replacer in a multi-user environment. Free software to capture Lock Screen and Logon screen. Automatically creates a System Restore point before installation. Allow access to useful administrator tools on the Lock screen itself. Ease of Access Replacer is an amazing tool that solves the problem of capturing Windows 8 lock screen, which otherwise is not possible using the default Print Screen button. If you really have to take screenshot of your Windows 8 lock screen, go ahead and must try this freeware. Get Ease of Access Replacer here.